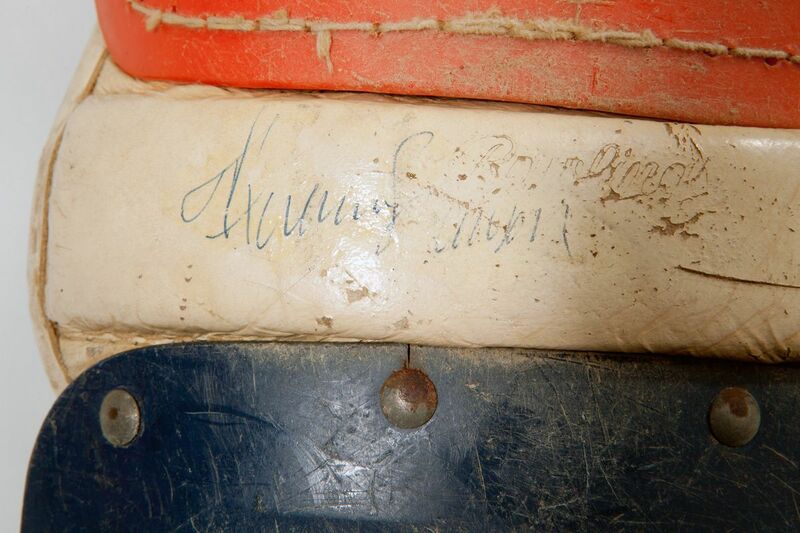 A rare offering in the category of Game Used equipment, Munson’s shin guards show extensive usage wear, likely having served the Yankees Captain for a long period of time in the mid to late 1970’s. 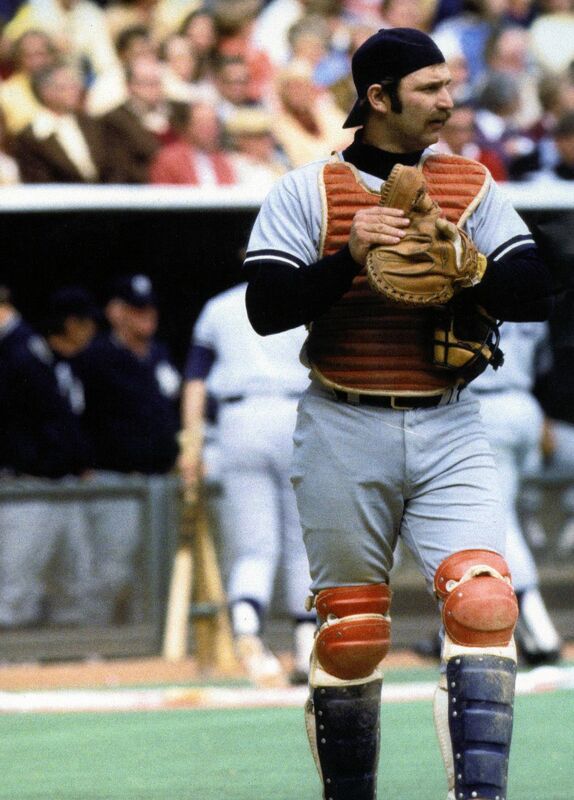 Catchers were typically extremely loyal to their armor, wearing the same gear both at home and on the road. 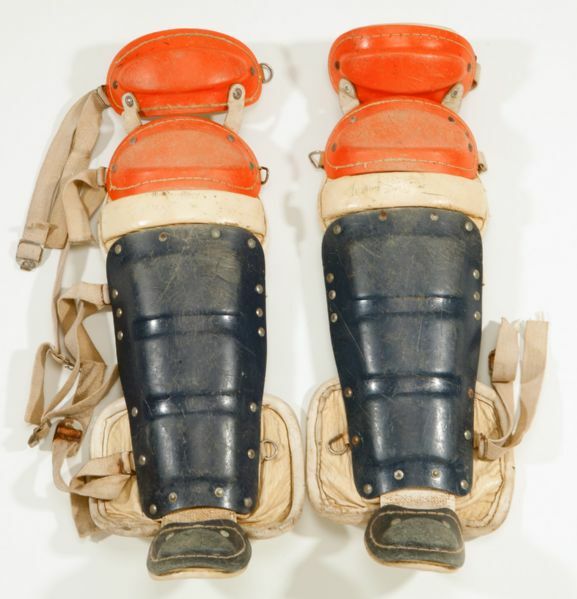 Manufactured by Rawlings, these battle scarred shin guards featured blue and orange shells over white leather padding. Munson’s number “15” is written in faded blue marker behind the kneecap of one guard. 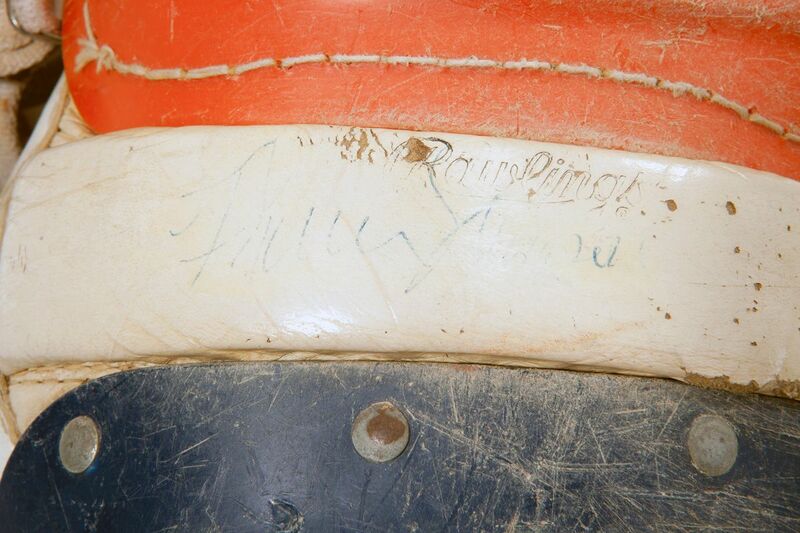 Most significantly, Munson has added his vintage ballpoint signature to the white padding of each guard between the knee and shin shells. The autographs rate about 6 out of 10 under a light coat of protective shellac. Several photos of Munson wearing what appear to be identical shin guards are available. 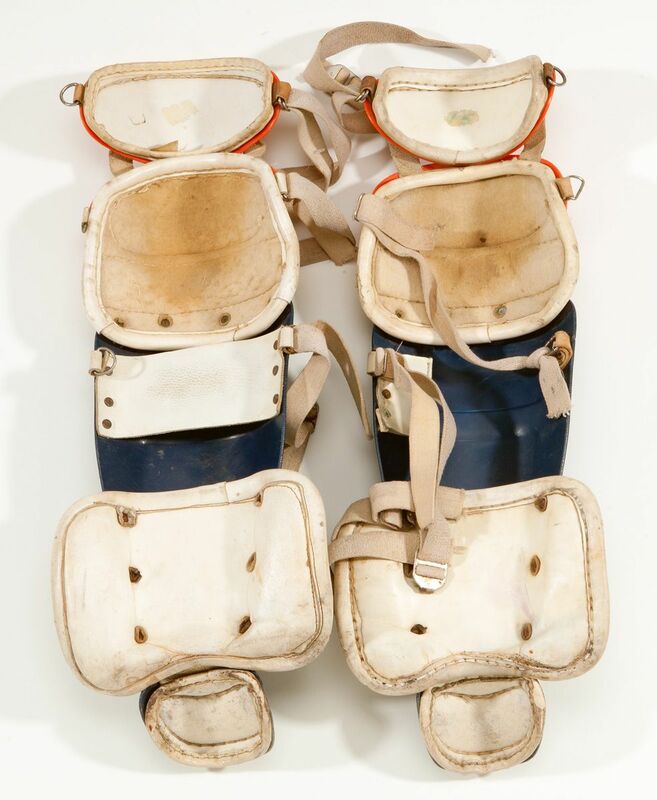 Among the most unique Munson game used items we’ve encountered, these shin guards vividly evoke the character of the rough and tumble Yankees icon. Includes two separate full LOAs from PSA/DNA and a letter of provenance from David Wells.